Okay, the Flash was a hot item last year. Now I have to think of something more clever with the use of light and more bright (or at least as dynamic) as the use of reds and pinks. Hmmm, its difficult not knowing if I’m going to get a booth for Phoenix Comicon. I hope so….that comicon has gotten HUGE! It would be awesome to show. Haven’t decided on the Long Beach thing because of the time conflict. Gonna hafta make some big decisions soon. 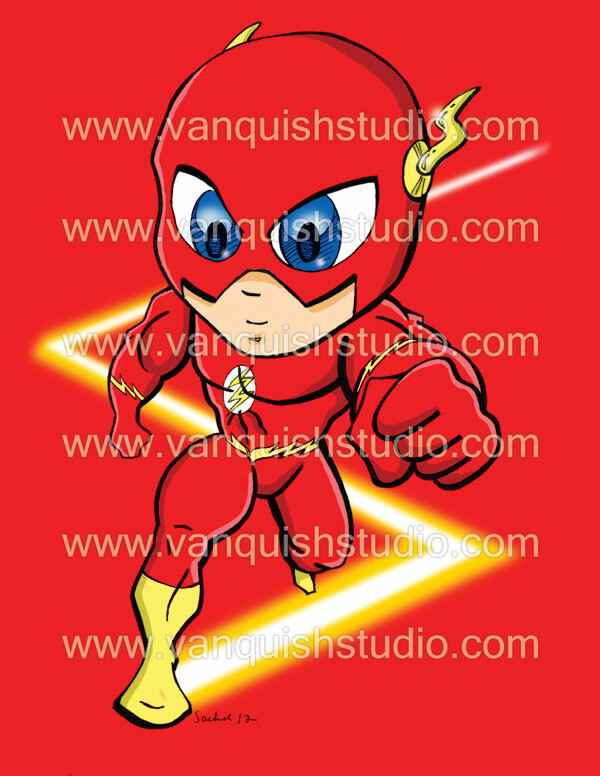 Categories: Uncategorized | Tags: chibi DC Universe, chibi Flash, comic Flash, comics, DC Universe, flash, how to color comics, Professional, run, The Flash | Permalink.